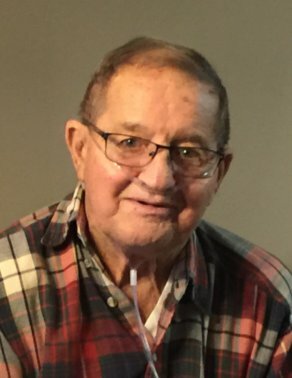 Obituary for Cecil "Mark" Conrad | McCombs Funeral Home Inc.
Cecil “Mark” Conrad, age 80 passed way Monday, August 13, 2018 at St. Francis Medical Center in Cape Girardeau with his family at his side. He was born March 30, 1938 at Sedgewickville, Mo son of Lauren Vern and Naomi Conrad Conrad. He married Helen “Bonnie” Ford February 18, 1958. Mark worked in the Automobile business in the Cape Girardeau area for over 50 years. He previously worked four years as an auto mechanic and nine years on the river. Survivors include his loving wife of sixty years, Helen “Bonnie” of Jackson; two children, Mary (Richard) Knote and Mark A. Conrad of Cape Girardeau; two grandchildren, Angela (Rodney) Alford and Nicholas (Wendy) Mayberry; four great grandchildren, Kaylee Biri, Alana Alford, Will Mayberry and Seth Mayberry; and one brother, Sam Conrad of Cape Girardeau. He was preceded in death by five brothers, Chub, Jack, Diz, Jerry and Pat Conrad; and two sisters, June Borgfield and Muriel Bollinger. The visitation will be from10-11:30 am Thursday, August 16, 2018 at Centenary United Methodist Church in Cape Girardeau. The funeral service will be 11:30am at the church with Revs. Barry Winders and Dave Conley officiating. The memorial contributions may be made to the church or charity of donor’s choice.